Its National Volunteer Week! This week we celebrate all the great work volunteers do around the world to build up communities by dedicating their skills, time and energy. We are also taking the time to look towards the future and all the great opportunities that can still be met. Technical areas: agribusiness, entrepreneurship, marketing, international trade, food processing, access to credit, farming, agricultural sciences, nutrition, livestock development, natural resource management, community development, renewable energy, gender, education and training, engineering, and information communications technologies. General capacity building: business planning, organizational development, management, finance and administration, human resource development, and fundraising. With many more to come over the next five years! If you are interested in gaining new cultural experiences, sharing your expertise with an international audience and creating lifelong memories and friends please visit our website https://www.winrock.org/volunteer-application/ to apply. You, too, can volunteer to make a difference. Posted on April 9, 2019 by By Patrick McBride with Tiffany Jacob, Sara Swisher, Kirby Richardson, Wes Manus, and Andrea Zekis contributing. 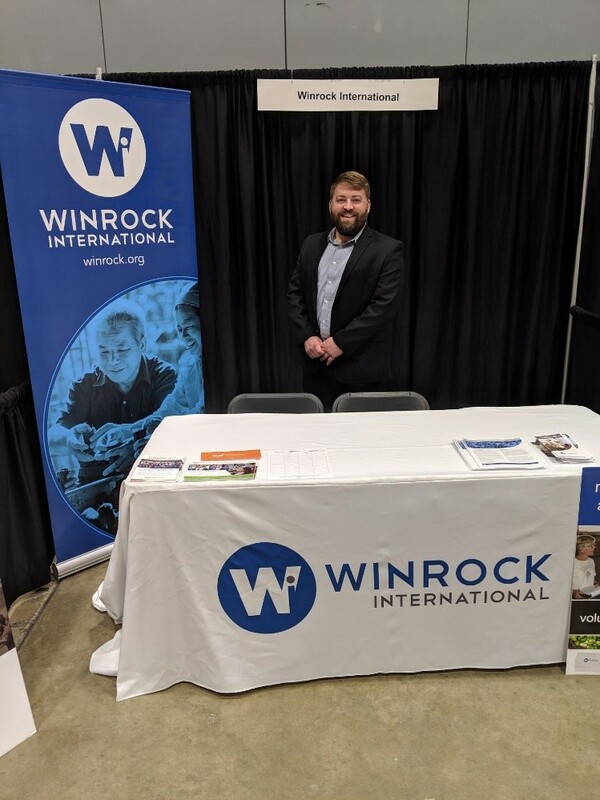 Winrock International is known for our work across the globe and throughout the United States, but we maintain strong roots in Arkansas, where our work began. Along with our headquarters, Winrock Initiatives like Arkansas Regional Innovation Hub are still based out of Arkansas. Our U.S. Programs division continues work in Arkansas as well like our work with Lake Village, Arkansas over the past decade, leading to community revitalization. Partnerships began with Class 1 at the Clinton School with student Nancy Mancilla completing her Capstone Project with Winrock International’s Rural Energy Program in 2008. 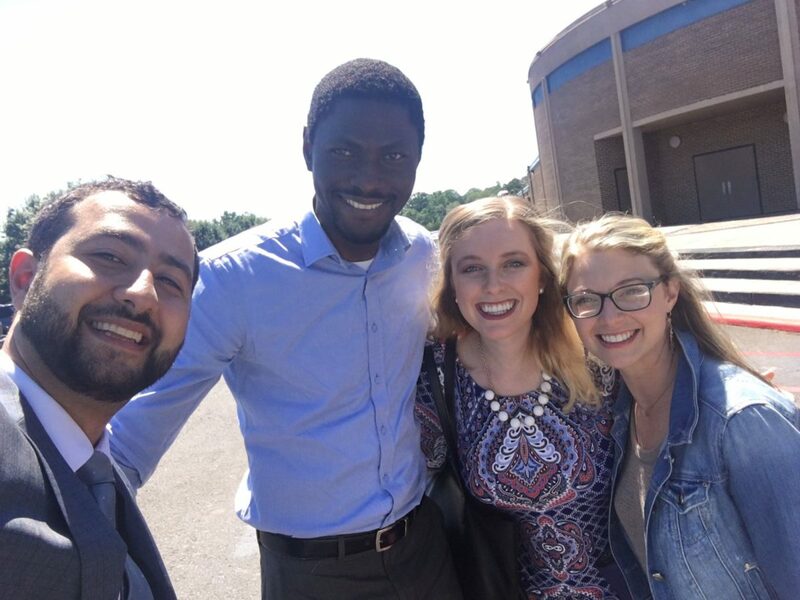 Jacob stated, “A more formal partnership between Winrock International and the Clinton School’s Office of Community Engagement began in 2016 thanks to Jen Snow, Associate Director of Agriculture & Volunteer Programs and F2F Director, and former Clinton School Assistant Director of Field Service, James Mitchell (now Senior Program Associate, Agriculture & Volunteer Programs at Winrock). Together they developed a clear process for placing students with Winrock teams in the field to complete projects. The placements are highly competitive among students and, based on student feedback, have proven to be some of the most rewarding projects academically, professionally, and personally.” Many of these projects through the formal partnership are USAID funded Farmer to Farmer Program projects. After graduation from Clinton School, Kirby will be completing an additional volunteer assignment in Myanmar with VC-RD. The 10th collaborative project between Winrock International and Clinton School is scheduled for this summer. Student Andrea Zekis will be working with Winrock in Nepal to support the USAID-funded Feed the Future Knowledge-based Integrated Sustainable Agriculture in Nepal (KISAN) II project with a variety of research and writing activities. I guess it wouldn’t be fair to leave myself out. 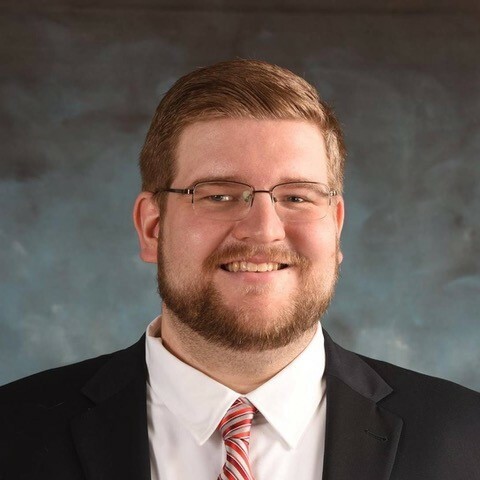 I am currently a graduate assistant and student at Clinton School, graduating in May. I was attracted to Winrock based on their commitment domestically and internationally, and what I saw as a strong commitment to effective strategies of helping some of the most vulnerable populations. 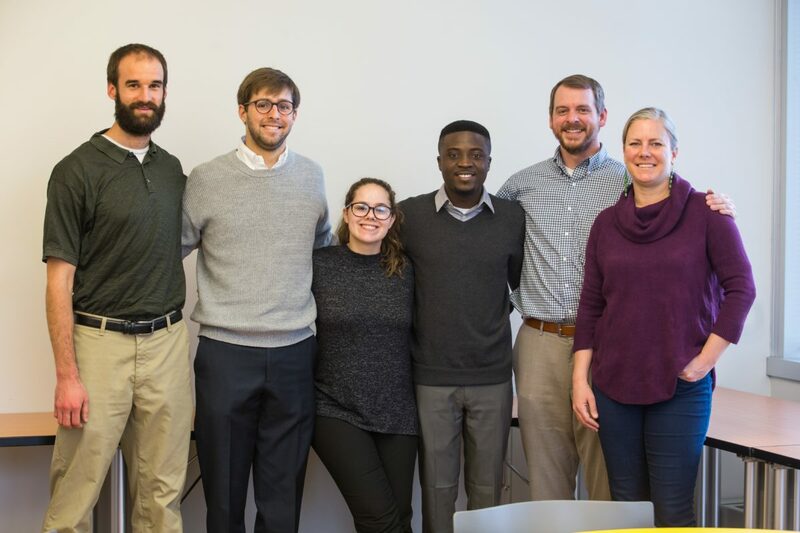 I started an internship at Winrock International in January working with our Agriculture & Volunteer Programs team to mobilize our USAID Farmer-to-Farmer volunteers and help them in the transition from home to their overseas assignments. Since starting, I’ve had the amazing opportunity to engage with passionate volunteers and help connect them with international opportunities. 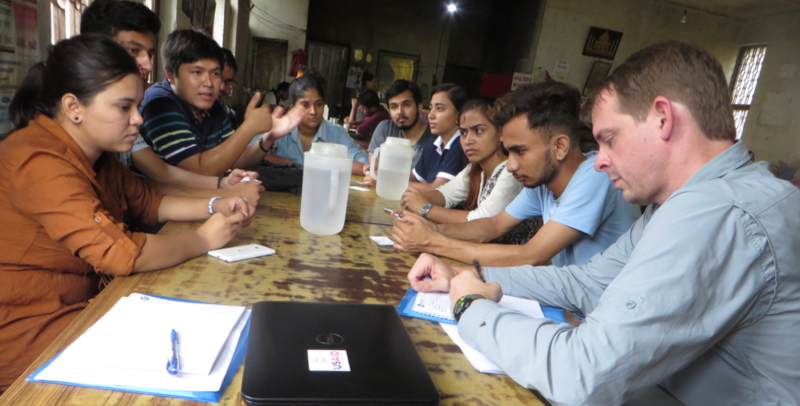 Conducted a mid-term impact assessment to analyze the impact of Training-of-Trainers (TOT) assignments with youth-serving host organizations and informal agriculture education and training (AET) providers in Nepal and Bangladesh. 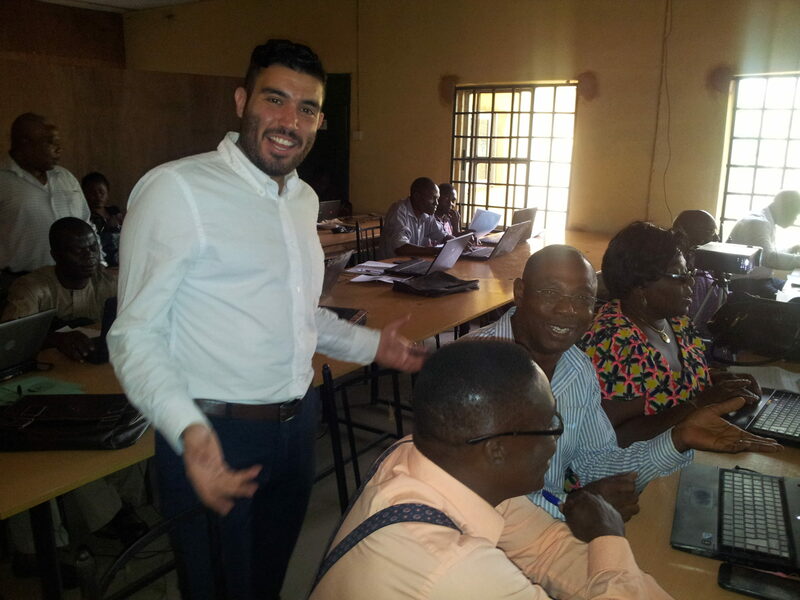 Developed an internship model for in-country young adults enrolled in agricultural programs in Nigeria, Senegal, and Guinea. 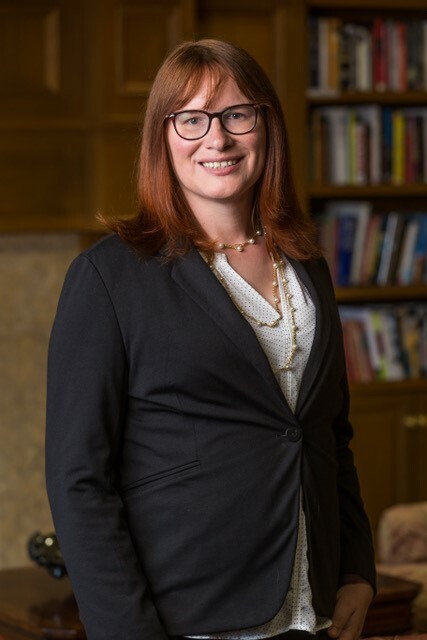 Dunlap developed a framework that will help educational institutions prepare their students to successfully complete internships and help private sector hosts mentor and prepare them for the workforce. 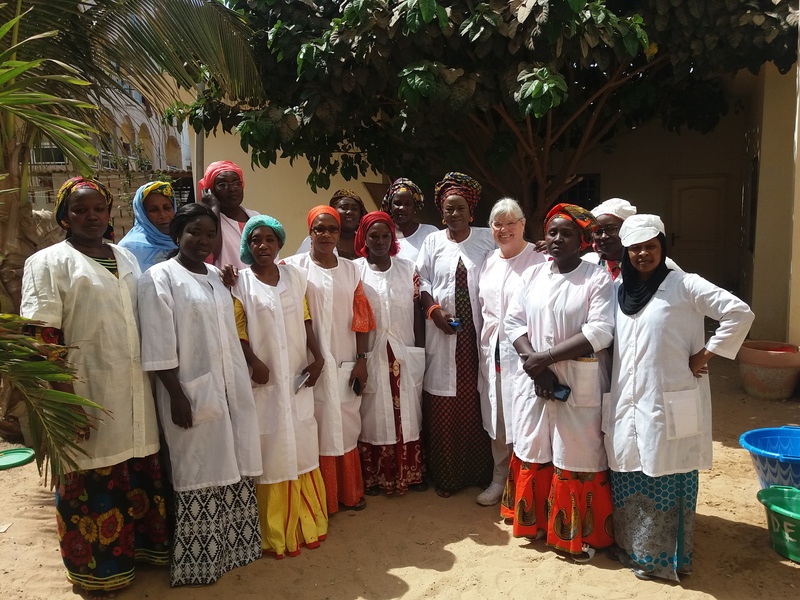 Since graduation Caroline has completed an additional volunteer assignment in Senegal. This project provided recommendations for how GIS could be used with socio-economic data from NUDEIL’s monitoring and evaluation department. Developed an Evaluation Framework for the Wallace Center’s Community Based Food Systems Project (CBFSP). International Volunteer Day is celebrated on December 5 every year. It serves as an opportunity for organizations like Winrock to celebrate volunteerism and reflect on the inspiring work of our volunteers. 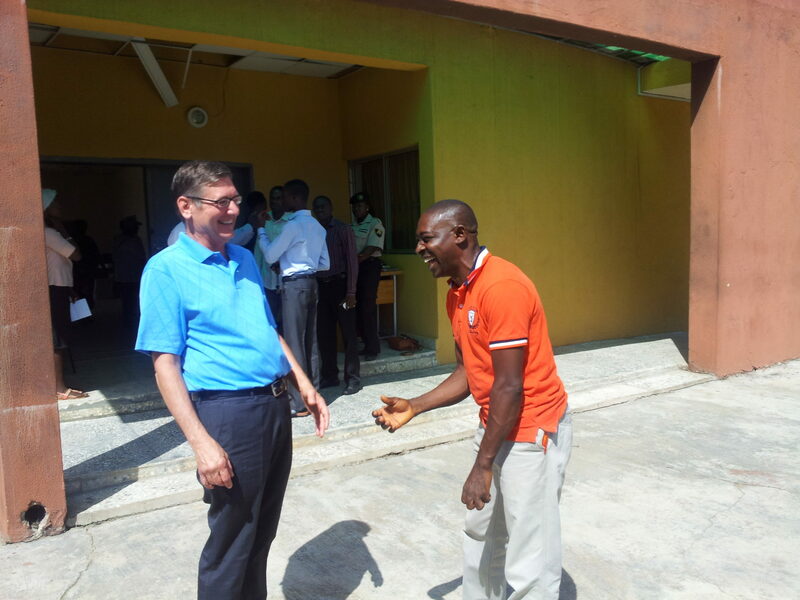 An important part of volunteerism, and of particular importance to the USAID Farmer-to-Farmer (F2F) program, are the people-to-people connections and cultural bridges formed by US volunteers and in-country hosts and beneficiaries. 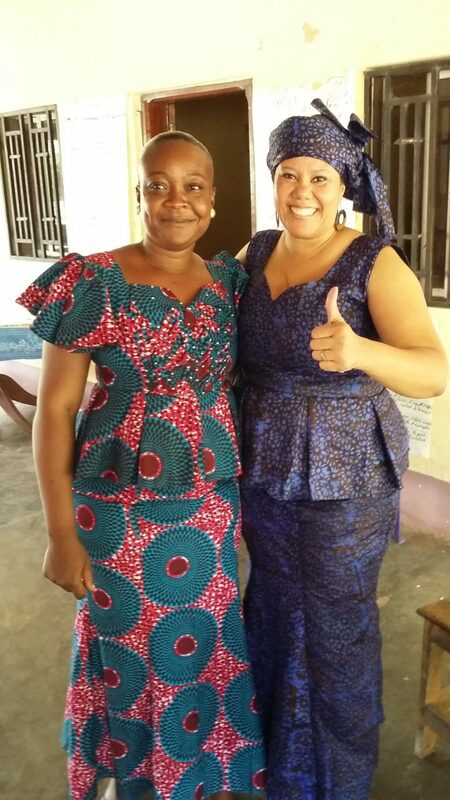 Many times, a volunteer assignment yields more than improved products or services or increased income and sales: it yields a life-long friendship. Mr. John Rodgers, owner of Plum Bottom Farm in Belleville, PA, grew up working on a farm and is intimately knowledgeable of dairy farm operations. John traveled on his first volunteer assignment to Kazakhstan in 1993 and over the next 15 years, he has traveled 136,500 miles and volunteered 539 days to contribute to agricultural development in Central Asia. In 1997, John was awarded a $40,000 grant from the US Department of Agriculture to purchase and transport 199 US dairy cow embryos to Kazakhstan, which helped improve herd genetics and cattle rearing in the country. In the summer of 2006, John was instrumental in the launch of the first Agricultural Progress Days of Kazakhstan, with Winrock International and several US and Kazakh institutions, focusing on technologies to increase farm productivity. Hiza Akhmatov, Executive Director of Taurus Services of Central Asia, received volunteer technical assistance while working on a state dairy farm. Later, after forming Taurus Services, he served as a host for volunteers. He said, “I met John when I was working on a state farm in Kazakhstan. 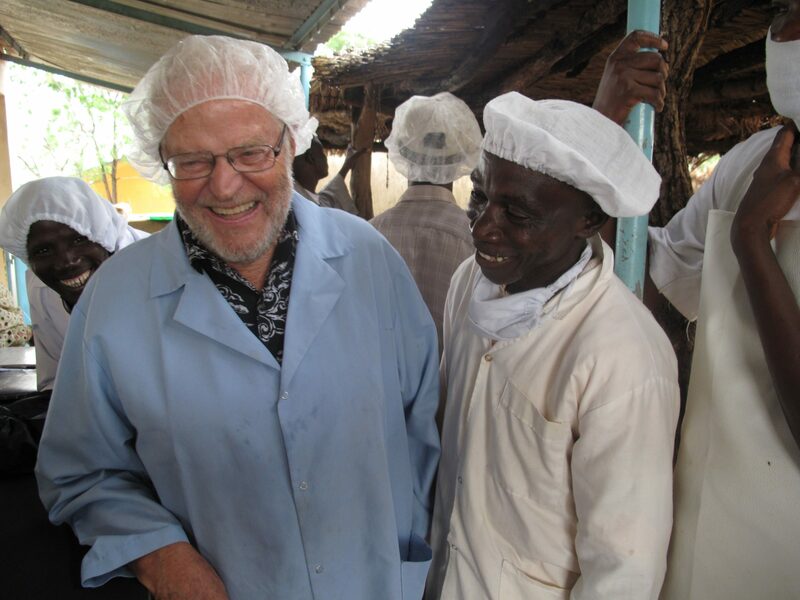 He made such an impression on me, that I could help with improving the dairy business. Two years later I quit my job and started working for the organization bring in embryos. 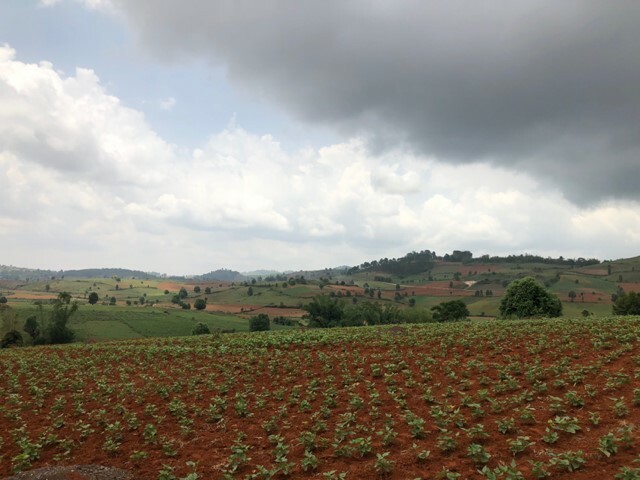 This changed my life and the life of my family.” Taurus Services has benefitted from thirty-one volunteer assignments via various Winrock-implemented Farmer-to-Farmer projects in the region. Winrock F2F program enables Myanmar producers to tour US avocado industry and import certified varieties from California. 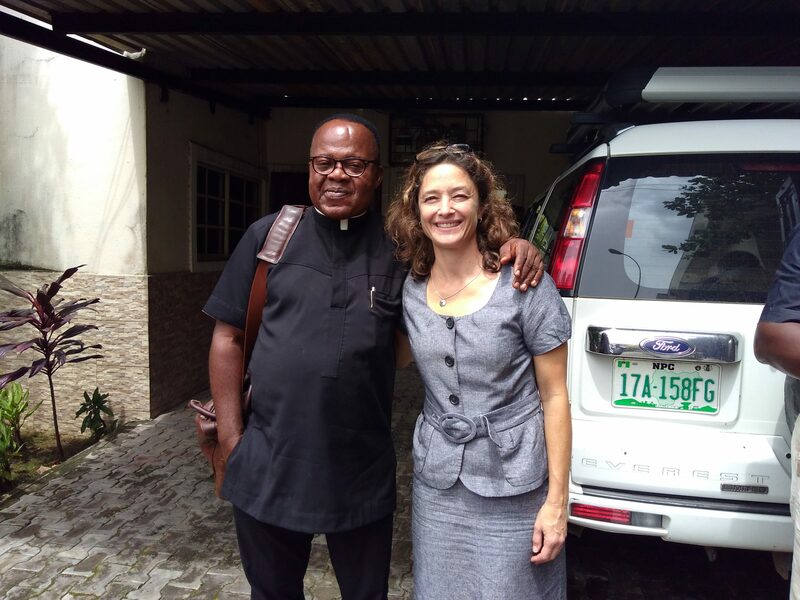 Dr. Michael B. Thomas is an agribusiness consultant who has worked in more than 20 countries in the last 20 years as an agricultural and agribusiness expert. 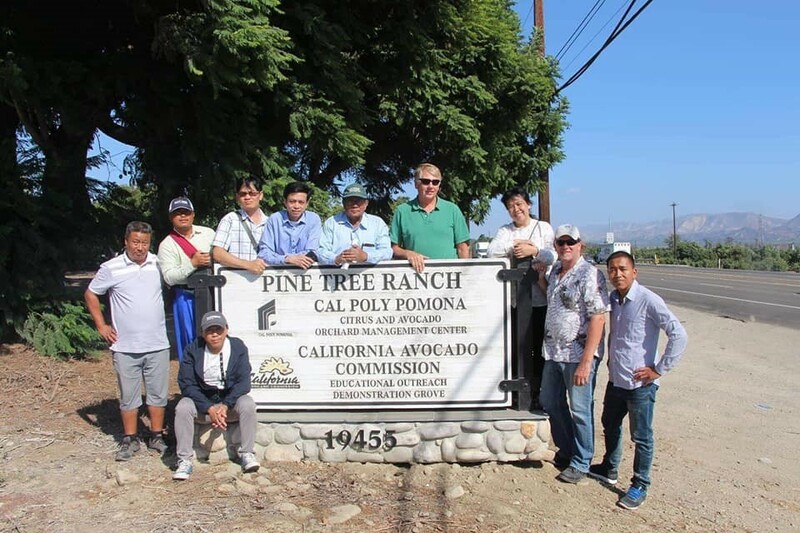 Twelve avocado producers, members of the Myanmar Avocado Producer and Exporter Association (MAVO) – a recently formed group of both large and smallholder farmers, have recently completed a 2-week study tour of the California avocado industry. 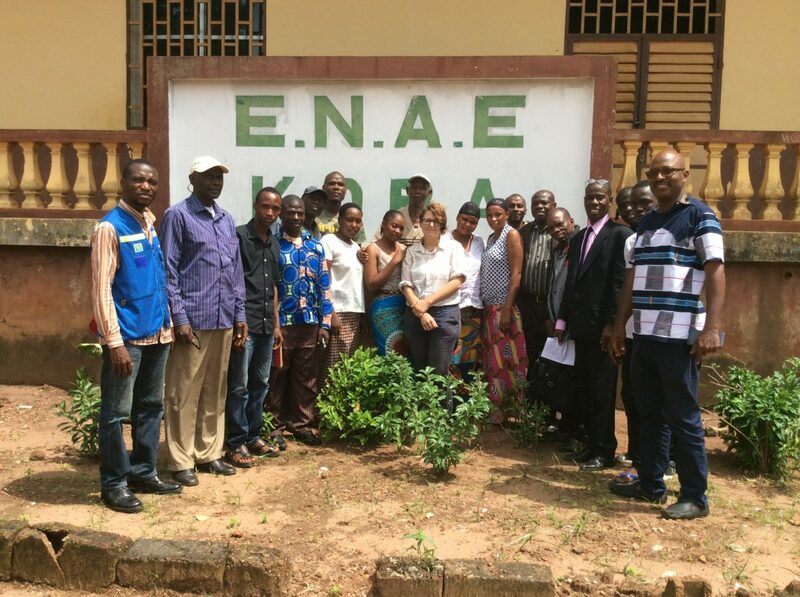 “This training opportunity was a unique final outcome of a 5-year initiative led by Winrock International under the Farmer-to-Farmer (F2F) program”, said Dr. Michael Thomas, who organized and led the study tour. 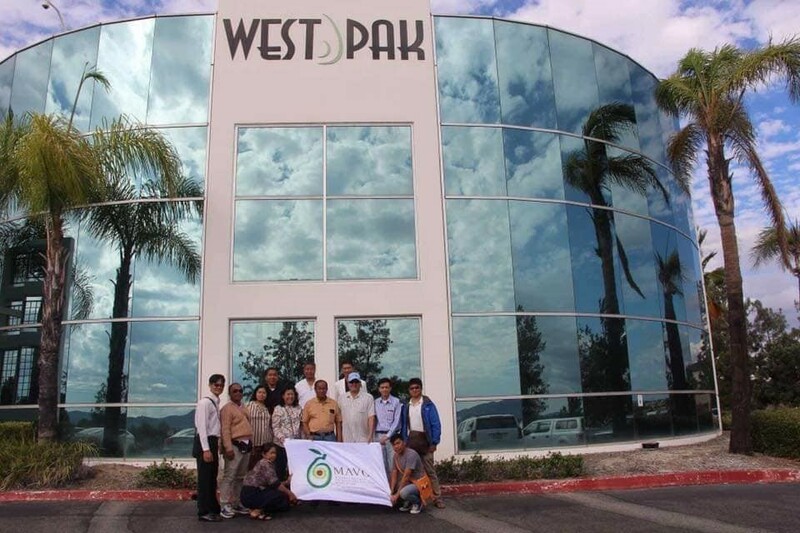 “Although there were both cultural and language challenges, the California growers and industry leaders including staff from Calavo Growers, Mission Produce, West Pak, Bella Vado, the California Avocado Commission, and Brokaw Nursery were very welcoming in sharing their knowledge and exchanging ideas,” said Mrs. Sandar Myo, leader of the Myanmar delegation. Study tour group visiting the Pine Tree Ranch in Santa Paula, California. Study tour group visiting the West Pak Avocado, Inc. in Murietta, California. 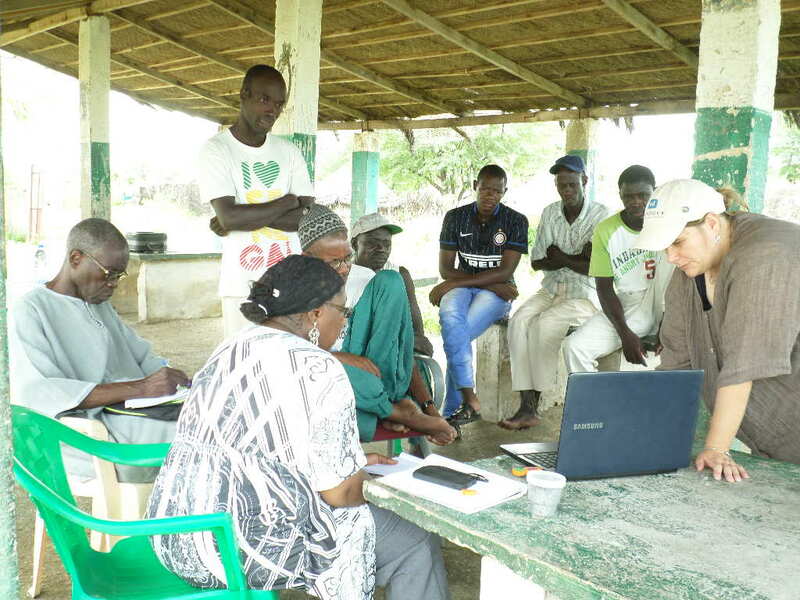 “It is quite a unique experience to host a group of farmers in the United States who have followed up on recommendations so quickly, these farmers are well-organized and became highly motivated and inspired through the Winrock F2F program”, said Dr. Thomas. The rural farmers, primarily from avocado producing areas of Chin and Shan States, attended the 103rd annual meeting California Avocado Society in October. Following the meeting, they also visited and experienced first-hand current research orchards and packing house facilities in San Diego and Ventura counties, the leading California avocado-producing counties. The farmers also partnered with Brokaw Nursery, a leading wholesale subtropical tree nursery, to complete the first certified importation of 5 commercial avocado varieties. More than 125 smallholder farmers in Myanmar have now received portions of the 10,000 imported budwood. This cultivar introduction will help to establish a new germplasm repository and future certified nursery stock which will extend the avocado producing months and increase the production of improved avocado cultivars such as “Hass”, “Lamb Hass” and “Zutano”. 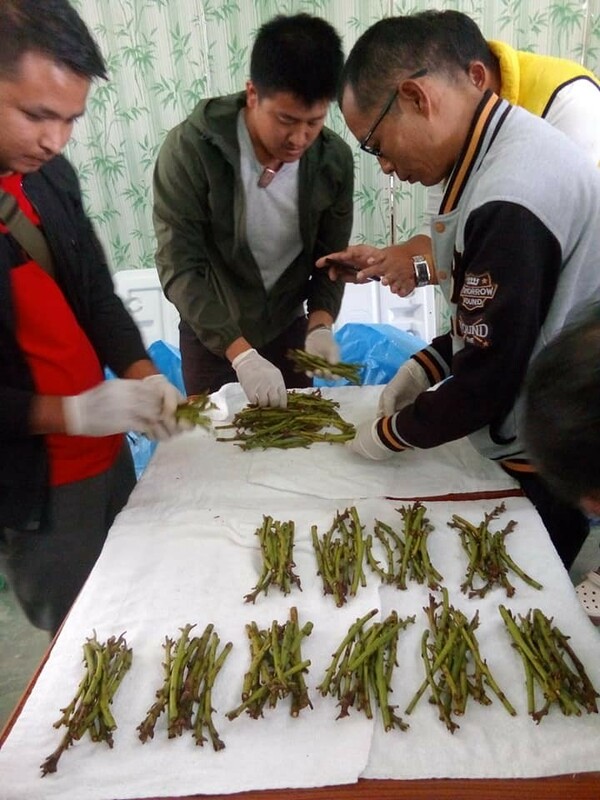 The hope is that these improved cultivars will serve as a foundation to increase the acreage and production required for both domestic and emerging new export markets, especially in Asia. Imported avocado budwood being distributed to farmers by the Myanmar Avocado Producer and Exporter Association. Since 2014 Winrock International has partnered with the Myanmar Fruit, Vegetable, and Producers and Exporters (MFVP) as the local counterpart and facilitated the Farmer-to-Farmer (F2F) exchange of seven avocado crop specialists from DC, Florida, and Hawaii including Todd Walton, Daniel Carrillo, Robert Flick, and Drs. 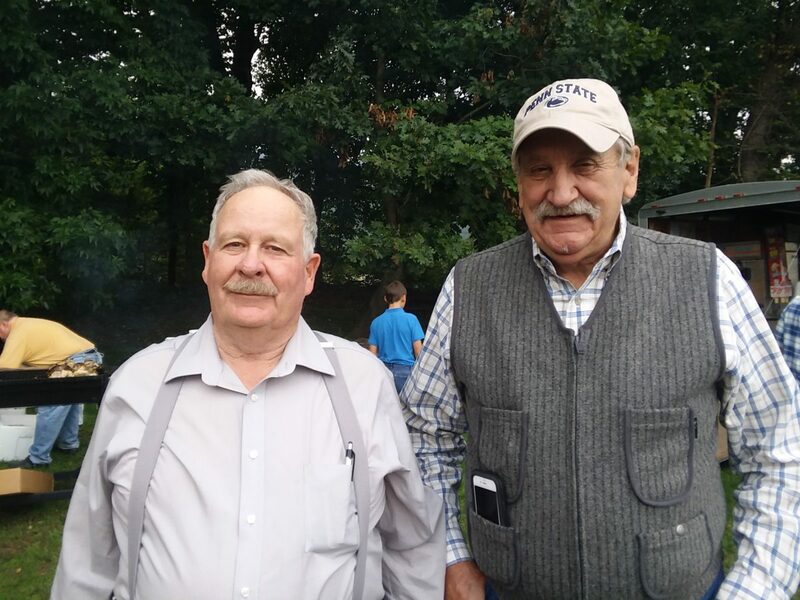 Michael Thomas, Jonathan Crane, and Randy Ploetz. These specialists collectively provided a successful series of lectures, technical assistance workshops and hands-on practical training to hundreds of Myanmar farmers on easily-adoptable crop management techniques and value-chain components such farm management, nursery production, grafting, pruning, irrigation, pest and disease management, as well as post-harvest issues and value-added opportunities. 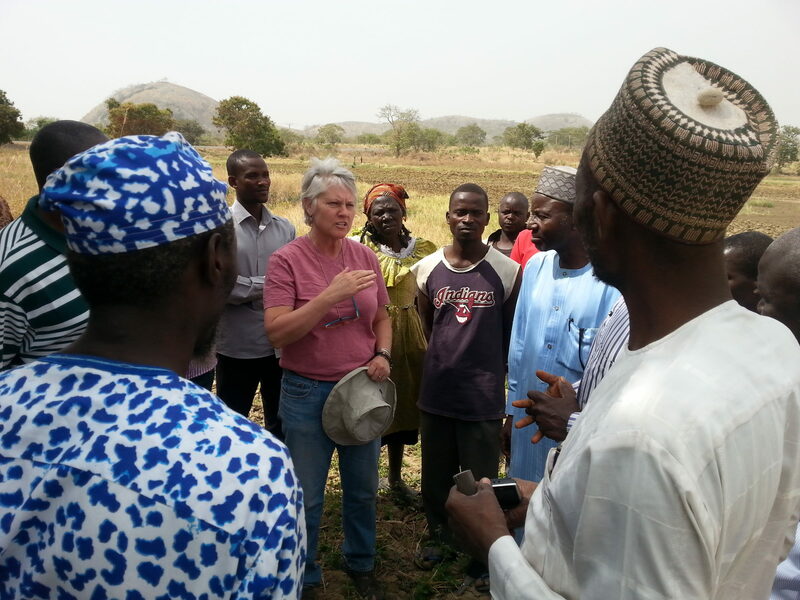 The Farmer-to-Farmer Program is funded by the United States Agency for International Development (USAID) and leverages the expertise of skilled U.S. volunteers to increase agriculture sector productivity and profitability, and strengthen agricultural sector institutions. The Asia F2F Program (2013-2018), in particular, implemented by Winrock, generated sustainable food security and economic growth in the agricultural sector by introducing new technologies and innovations, and developing local capacity for more productive, sustainable, and equitable agricultural systems in Bangladesh, Nepal, and Myanmar. 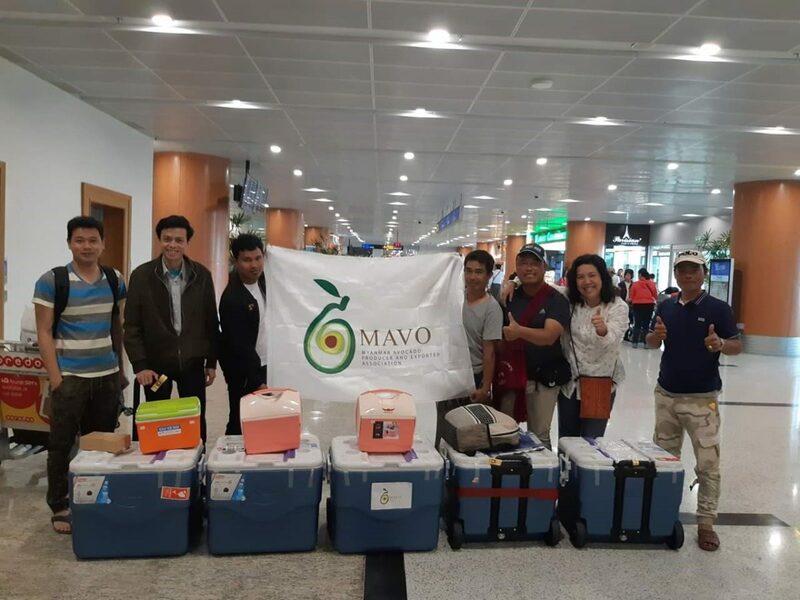 Members of Myanmar Avocado Producer and Exporter Association receiving imported California budwood at Yangon International airport. As a result of this F2F partnership, avocado is now poised to become a crop with new economic potential in Myanmar providing new opportunities for local farmers. Although avocado is a fruit that is not native to Myanmar, farmers have long cultivated avocados. The current annual domestic production is small and characterized almost exclusively by locally accepted varieties. The significance of the fruit, known as “green gold” in new emerging global markets is still relatively undeveloped in Myanmar. Globally, the avocado is experiencing rapid new market acceptance and resulting in the establishment of acreage worldwide, especially in neighboring China. Rural farmer tending to recently grafted avocado seedlings. And looking forward to the start of a new one! 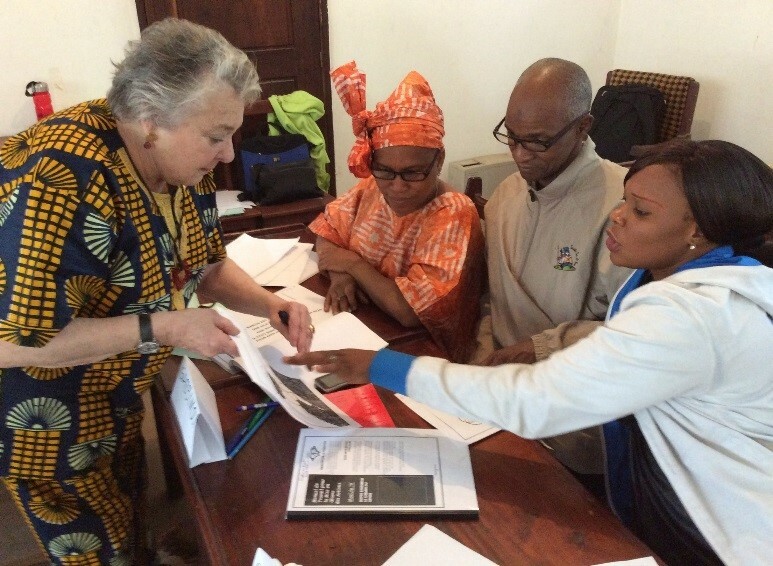 Mama joined Winrock in June 2014, but she has known about Winrock for many years, as she is a member of the Africa Women Leaders in Agriculture and Environment (AWLAE) network that Winrock helped form and strengthen in the 1980s. 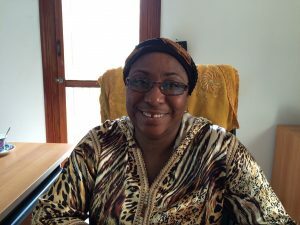 She received her Master’s in International Agriculture Education from the University of Arizona and spent many years working for the Senegalese Ministry of Agriculture and for the Food and Agriculture Organization. Mama enjoys working with volunteers because she learns from their variety of experiences and skills which she then applies on her own farm. She admires the volunteers’ dedication and motivation to share their knowledge with others. 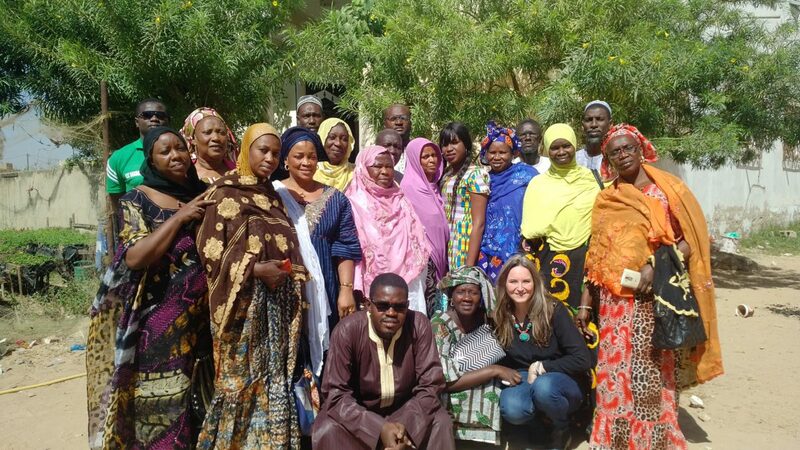 In her opinion, the F2F program addresses numerous development issues within the wider agricultural sector that benefits Senegal. On the weekends, Mama likes to go to her farm, where she keeps fruit trees, poultry, and livestock. 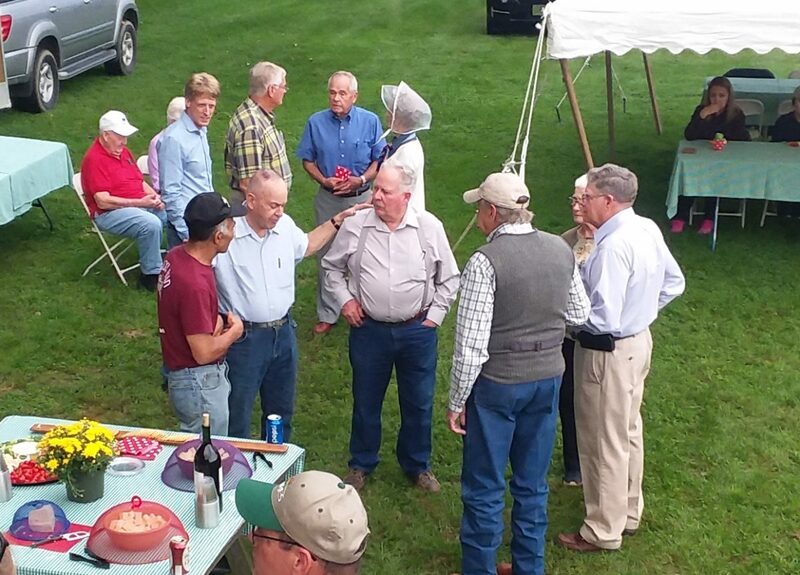 Being part of the Farmer-to-Farmer team has allowed me to meet great people who have helped improve my knowledge in a variety of areas from agriculture production, income generating activity development, and management and leadership strategy. With F2F volunteer, Erica Cummings, I learned how to make compost tea which is a very handy method of using manure without going through the whole process of making a compost pile, including the energy and time-consuming practices of watering the pile, turning it, and then spreading the compost in the field. This method does not require many tools. Combining it with a simple drip irrigation system gives amazing results; I have noticed a great improvement in my plants as the compost tea is introduced in the irrigation water, reducing the space and mess associated with more traditional composting. What a delight to make my own mango jams and chutney using mango from my own farm! 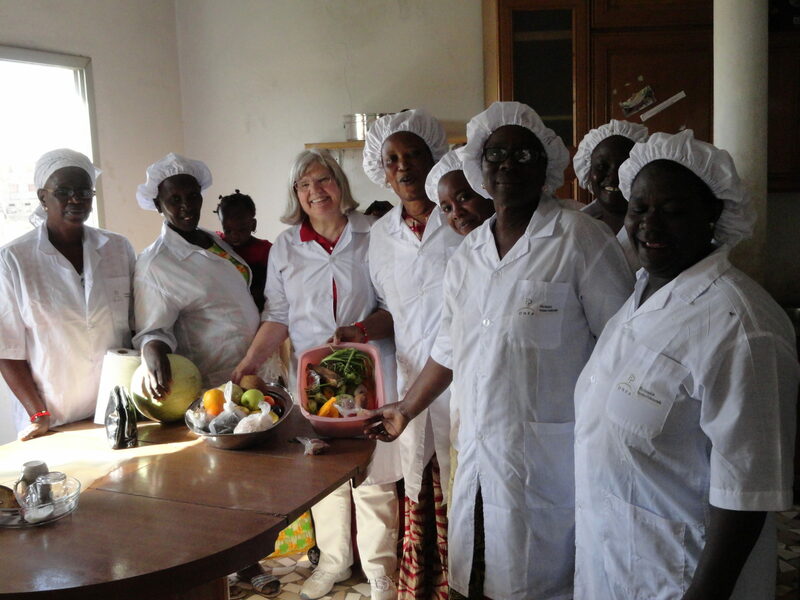 I have learned many different methods of food processing so I no longer fear the fruit and vegetable going to waste. One of the best aspects of this knowledge is that now I can propose useful activities to do with my friends and sisters when staying on our farm. With F2F volunteer, Monica Norley, I learned how to make soap based on available agriculture products; this is another very fun and interesting activity to do on our farm with the many different ingredients available to us. These and many other assignments have taught me a lot about other new topics I knew nothing about: beekeeping, aquaculture, and dairy product processing. With the new program beginning, I hope to learn more about post-harvest processing, best practices, and innovative value adding techniques. The F2F for AET program has inspired me to make my farm an informational and training site for agricultural production available to all city dwellers who are interested in agriculture or just in nature. From all of us here at Winrock, Happy Thanksgiving!